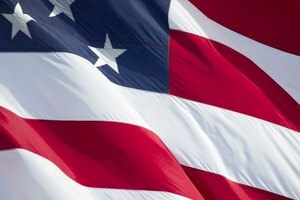 There is a strict etiquette for displaying an American flag over the casket of a patriot. There are certain people eligible to be accorded that honor. Before considering this, learn how to place the American flag. It is an essential respect for the flag and country to do this correctly. 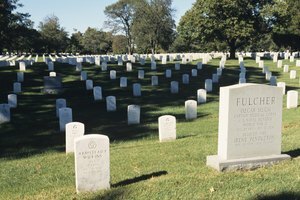 Determine if your loved one is eligible to have a flag draped over his coffin. Every deceased active or honorably discharged military personnel and some reservists may have this honor. Contact the Department of Defense for a complete list (see Resources). 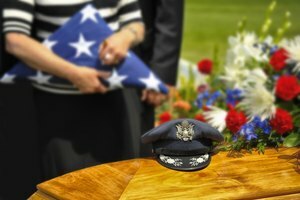 Drape the flag over the closed coffin with the blue field of stars at the head and over the left side of the deceased. 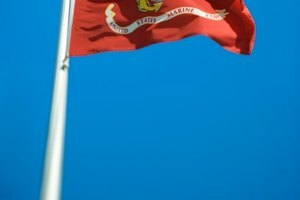 No part of the flag can touch the ground. Observe the rule that no other flag may be draped on the coffin when an American flag is in place. Display the flag over a half open coffin by folding into a half couch position—folded into thirds with the blue field on the top fold and next to the open section of the coffin. 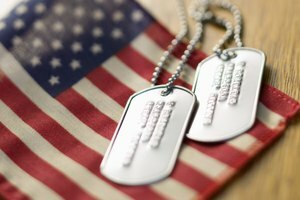 The deceased can possibly be accorded certain military honors. Contact either the local military or veteran’s association and in most cases they will even attend the funeral to fold and present the flag to the next of kin. Olsen, Pat. "How to Display a Flag Over a Casket." 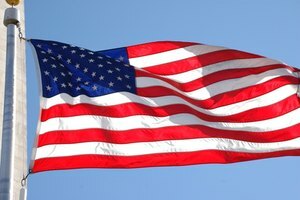 Synonym, https://classroom.synonym.com/how-to-display-a-flag-over-a-casket-12079004.html. 29 September 2017.